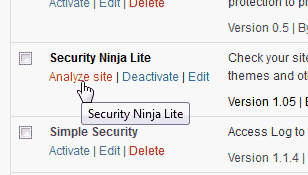 You can analyze your WordPress security with the Security Ninja Lite plugin available for free in your WordPress plugins. Security Ninja Lite scan the WordPress site to offer suggestions on what you can do to fix any potential security issues. 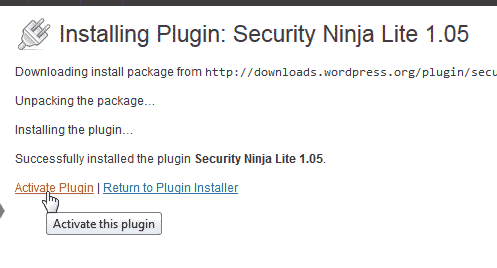 Your WordPress site actually does not become secured by Security Ninja Lite. 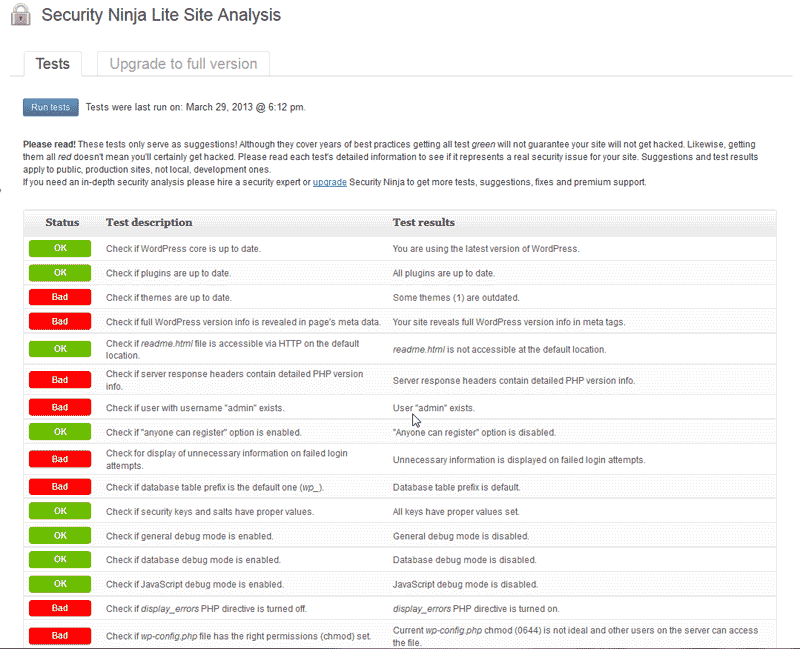 Security Ninja Lite simply analyzes your WordPress site to find any exploits that may exist. This article will explain how to Install Security Ninja Lite and how to analyze your WordPress site security. Go to Plugins and Click Add new. Search for "security" in the plugins. 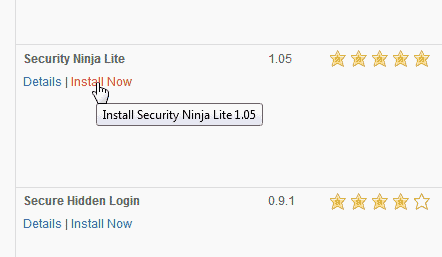 Find the Security Ninja Lite plugin and click Install Now. When the plugin is installed, click Activate plugin. You can analyze your website by going to the Secure Ninja Plugin in the Installed plugins and clicking Analyze site. You will receive a warning at the top of the page stating, "Security Ninja Lite tests were never run." Click Run tests. Security Ninja Lite will scan your server for any issues with your WordPress site. In the image to the right, you can see where Security Ninja Lite found problems with the Theme version and more.